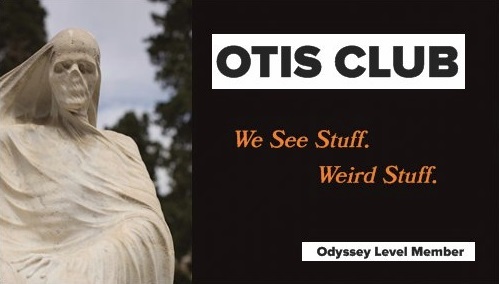 I had a list of a few must-interviews for this book, and the people who ran [the Salem Witch Museum] were on it. We played musical schedules for a while over the summer, and October was way too busy for them to give me the time I needed. I did drop by at one point during Haunted Happenings just to introduce myself and assure them I was a real person with a real project and not just a few lines of code that emailed them biweekly and then rescheduled appointments. Little did I know I’d learn something during even that five-minute visit. I walked confidently past the long line outside and up to the woman running the ticket counter inside. “Is Stacy around?” I asked. Stacy Tilney is the director of communications for the museum and the person with whom I’d been making mile-long email chains with. She picked up a phone, “Is Stacy there? Can you tell her she has a vendor here to see her?” She hung up. She didn’t answer. Just dropped her eyes to what I had in my arms. 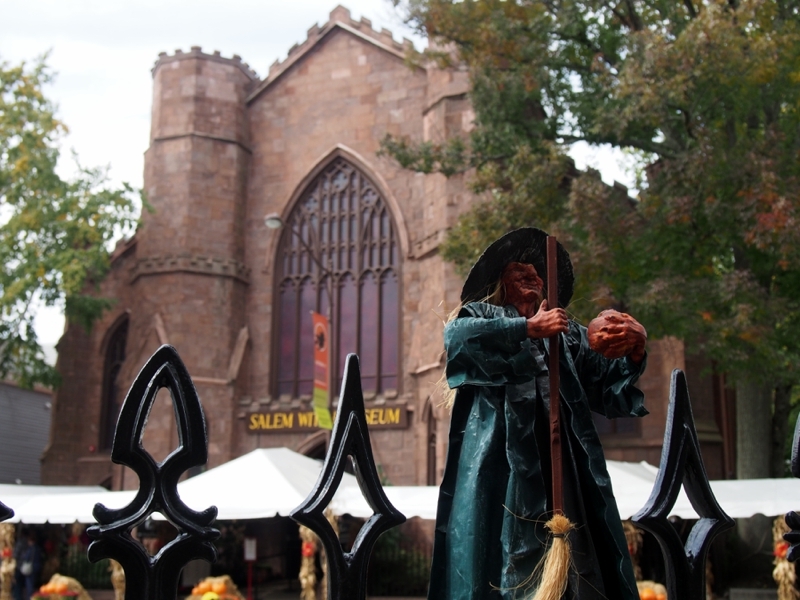 One of the Halloween decorations I brought with me to Salem was a 14-inch-tall papier mache witch. In one hand she held a broom and in the other a small gourd. Her hair was the color of cornstalks and her skin the color of pumpkins. Her long cloak and pointed hat were midnight blue—witching hour blue—and her face was kindly. She looked homemade and ancient, but I don’t know who made her nor how old she was. No part of her bore a name or a date. I had brought her solely because she had belonged to author Ray Bradbury, the great scribe of both autumn and Halloween himself, so it seemed a fitting totem to preside over my family and I as we watched Halloween specials and ate candy corn and carved pumpkins in Salem. To sit on my borrowed desk as I wrote down my Salem experiences every night. I’d bought the witch at auction, and it was our first Halloween with it. 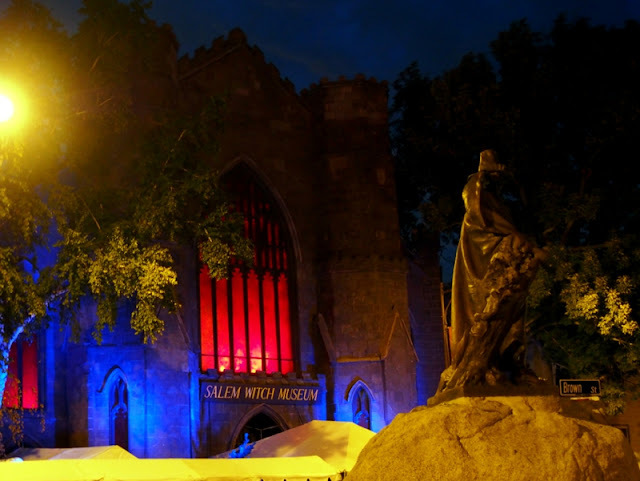 I had it with me that day because I wanted to take a picture of it in Salem and chose the museum as the perfect backdrop. It was after mounting it on one of the prongs of the black iron fence lining that side of the Common that I decided to go inside and make contact. I held the Bradbury witch defensively against my chest. “No, no. This isn’t for sale. This girl’s special.” And I gave the above explanation the way I should have given it to you, in under 10 words. No, no I did not. Turns out, he was related to Mary Bradbury. She was convicted but not executed and was the one who was supposed to have killed Timothy Swan, whose Andover grave I had visited. The “related to a witch” story is one I heard a lot from a lot of people, from the tipsy guy next to me at the bar of the Witch’s Brew Café to the girl in line at the Ye Old Pepper Company candy store where I was trying to buy chocolate skulls. 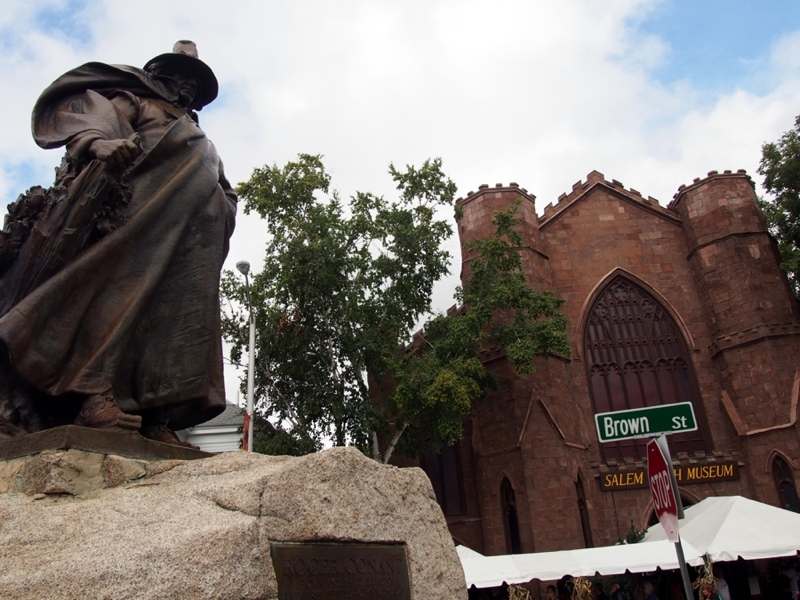 Colonial Salem was full of Adams and Eves, and somewhere in almost all of our family trees is a witch. Hopefully not hanging there. Still, I left the Salem Witch Museum digging my Bradbury witch that much more. Her name is now Mary. To learn more about my Mary the Bradbury Witch, watch this episode of Strange Stuff from My Study, which ran last year just six days before my big Salem move.